IP and Law Firm Pakharenko & Partners was established in 1994 and has offices in Kyiv and London. As a firm providing full IP service coverage we are keen on developing successful protection and enforcement strategies for our clients, covering the development of an IP portfolio, acquisition of IPRs, commercialisation of IPRs, enforcement and management of IPRs including patents (inventions and utility models), designs, trademarks and geographical indications, domain names, copyright and related rights, plant breeders’ rights both at national and international level. 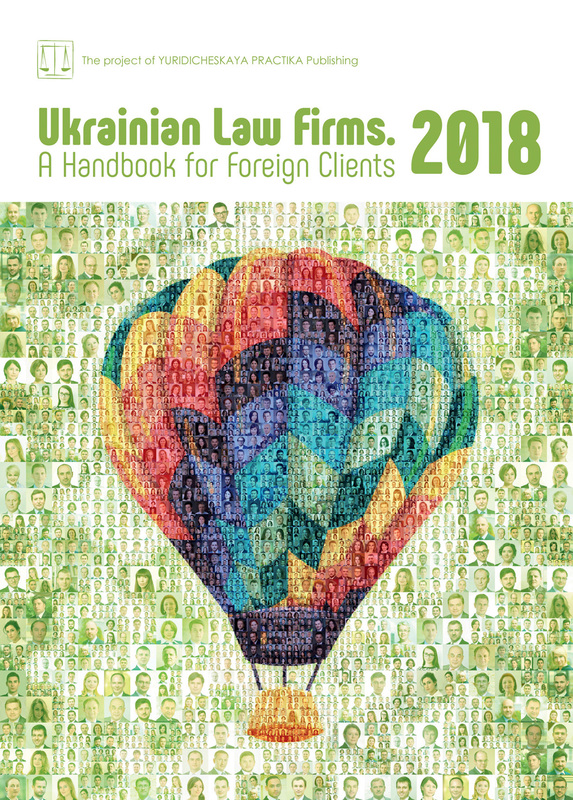 The firm provides assistance to national and foreign clients in securing and enforcing their intellectual property rights in Ukraine and CIS countries. The company’s lawyers have been involved in anti-counterfeiting and anti-piracy activities since the implementation of the relevant provisions on IPR enforcement in Ukrainian legislation. Our staff also possesses expertise in pharmaceutical law, competition law, media law, corporate and commercial law, unfair competition, data protection, commercial litigation. We are able to service our clients’ needs around the world through our established network of associates. The special relationships developed by our company with many attorney firms in key foreign markets provide ongoing, substantial benefits to our internationally focused clients. Intellectual Property, Anti-Counterfeiting and Anti-Piracy Operations and Legal Support, Media Law, Advertising Law, Competition Law, Pharmaceutical Law, Corporate Law, Customs Law, Commercial and IP Litigation. We are able to service our clients’ needs around the world through our established network of associates. The special relationships developed by our company with many attorney firms in key foreign markets, provide ongoing, substantial benefits to our internationally focused clients. The company and its members are actively involved in the operation of a number of national and international intellectual property associations, such as: AIPPI, INTA, FICPI, LES, MARQUES, PTMG, ECTA, ACG, IACC, ICC/CIB, ICC Ukraine, IBA, European Business Association (EBA), American Chamber of Commerce (ACC) in Ukraine, Ukrainian Patent Attorneys Association (UPAA), Ukrainian Alliance Against Counterfeiting and Piracy (UAACP) which is a member of the GACG Network, CIOPORA. The problem of the manufacture and dissemination of counterfeit goods has become increasingly important for the global community since the dawn of the new millennium. Over the past few years counterfeiting has risen from artisan production (small clandestine workshops) to industrial enterprises with modern facilities and equipment and, as a result of the dissemination of fakes, this is now on a truly global scale with counterfeiting becoming one of the main problems in all countries. Counterfeiting is now the second largest source of revenue for organized crime globally, as reported by the UNODC. In monetary terms counterfeit goods make up 2.5% of the total volume of world trade (approx. 461 billion USD) according to the studies conducted by EUIPO and the OECD in 2016. There are two main reasons: first, counterfeiting is a very profitable business for criminals, as it is based on consistently high demand for cheap goods with low production and distribution costs. At the same time, those breaking the law have no fear of strict punishment for this type of crime compared to the punishment for terrorism, drug, arms and human trafficking. Secondly, the large wave of counterfeit goods which has become noticeable in recent years is due mainly to the link between counterfeiting and organized crime and terrorism; violations of IP rights have become the all-time favorite funding source for the illegal activities of organized crime groups. When people make their choice in favor of counterfeit products they should realize that counterfeiting is one of the main obstacles in the way of development a country’s domestic production; infringements of IP rights are hampering implementation of innovational production techniques and development of the country’s economy; non-observance of the higher standards of quality in the agrochemical field poses the risk of large-scale technogenic catastrophes; fake toys, medicines, spare parts for vehicles, fertilizers and other similar goods may cause serious damage to the health and safety of consumers since they are not subject to quality testing. At the nationwide level counterfeiting: harms the economy of Ukraine, whose budget loses billions of hryvnias of potential tax revenue every year; causes reduction in direct investment due to a decrease in the country’s investment attractiveness; gives a boost to corruption and crime since the money received from counterfeiting is particularly aimed at financing organized criminal and terrorist groups; destroys fair competition on a market; leads to reduction of jobs and the outflow of professionals abroad; causes harm to the environment. For right holders counterfeit goods mean both financial and image losses. To combat the evil of counterfeiting the joint efforts of society and Government authorities are required; the illegal production facilities should be shut down and illegal distribution networks should be liquidated; the judicial system should be improved via the introduction of adequate punishment for these types of crimes; consumer awareness about the scale of the problem of counterfeiting should be increased since this fight cannot be effective without broader support from the public. The global professional community is pressing the point of building respect for intellectual property and raising the awareness of business and the public about the importance of protection of IP rights. That is why the main focus is made on various activities aimed at raising awareness and educating the audience. Yet in 1988 an international awareness-raising campaign called Global Anti-Counterfeiting Day was launched by the Global Anti-Counterfeiting Group Network (GACG Network). This campaign was aimed at educating consumers and reducing the volume of counterfeit consumption. Ukraine joined this movement by launching a continuing awareness-raising campaign called Anti-Counterfeiting and Anti-Piracy Days in Ukraine in 2012 at the initiative of the Ukraine Alliance Against Counterfeiting and Piracy (UAACP) and in cooperation with Government authorities and ICC Ukraine. UAACP’s Mobile Museum of Counterfeits is the fanciest element of the activities, during which visitors can test their consumer skills by trying to identify the counterfeit features in exposed goods. Samples of counterfeit and pirated products of the Museum of Counterfeits were received from Pakharenko and Partners IP and Law Firm. For Pakharenko and Partners this involvement represents the acts of social responsibility aimed at forming a rational consumption model and raising awareness among Ukrainian citizens about the risks and consequences of purchasing counterfeit goods. A change in outlook on the part of potential consumers is expected to become the basis for increasing the competitiveness of domestic producers and national economy as a whole. During five years of active efforts by the UAACP and continual support from Pakharenko & Partners, 36 awareness-raising events have been held for representatives of Government and business, students, schoolchildren, journalists and a broader public not only in the capital of Ukraine, but also in other major cities like Lviv, Odesa, Vinnytsia, and Rivne. More than 12,000 people took part in such events. All awareness-raising activities include studying public opinion on consuming counterfeit goods; the event participants are invited to answer questions on whether they had bought counterfeit items and whether these purchases were made intentionally. The results of such surveys are encouraging since they show that the majority of respondents were purchasing counterfeits unintentionally, confusing them with genuine goods, and, in order to avoid buying counterfeits in the future, they will try to be more cautious and give preference to purchasing original goods! Today, the efforts of law-enforcement authorities are focused on ensuring security in our country, which is why customs surveillance remains the main mechanism for identifying and fighting fake goods. Scrupulous right holders register their IP rights in the Customs Register of IPR Objects (hereinafter — the Register) to combat counterfeiting and prevent counterfeits from entering the Ukrainian market, and customs authorities are also taking action to attain these goals. For example, last year the active position of customs officers of Odesa customs of the State Fiscal Service enabled the prevention of transportation into Ukraine of a significant quantity of goods with violation of customs rules. From our experience of cooperation with customs authorities, we advise right holders, when submitting an application for inclusion of an IPR object into the Register, to provide a full description of the goods and the object of IP rights, and to also indicate the country of origin, the original features of the transportation packaging, original features of a product’s packaging, original features of the product itself, information about the right holder and his/her representative, information about importers/exporters of these goods. The availability of such information will enable successful identification of counterfeit goods and timely customs clearance of original goods. A top-priority issue is the lack of provision under which the right holders whose IP rights may, or have been, infringed have the status of participants in cases regarding violation of customs rules. This prevents rights holders from effective protection of their rights and increases the presence of counterfeit goods on the market. Another problem is the lack of a mechanism for the destruction of counterfeit items by the customs authorities under a simplified procedure, in cases where the counterfeit nature of goods has been confirmed by an importer and his consent for destruction has been obtained. Despite this, no further actions on delivery of such products in the destruction regime are then taken. Ukrainian customs offices lack information about the specialized enterprises present in their area with a license to destroy various types of counterfeit products. At the same time, there is no such practice where, in the absence of such an enterprise in the area of one customs office, this office would give its consent for the destruction of counterfeit goods in the area of another customs office where such an enterprise is available. As result of this situation, counterfeit goods may await destruction for several years. Criminal law requires some essential amendments. One of the most painful issues for society is tightening sanctions for the production and distribution of counterfeit goods. This is due to the lack of adequate punishment of organized criminal groups making profits via such illegal activity, and these profits are comparable to drug and arms trafficking. As a result, infringers feel their impunity, crime rates and corruption in society soar, thereby maintaining unfair competition and bringing about a decrease in investment and, ultimately, all of this simply lowers our country’s living standards. With this background, it is necessary to amend the sanctions of Article 229 of the Criminal Code of Ukraine by adding punishment in the form of correctional labor and imprisonment, which was provided before November 2011, prior to introduction of so-called humanization of responsibility, particularly for infringement of trademark rights. The sums of fines for IPR infringement provided for by Article 51-2 of the Code of Ukraine on Administrative Offenses should also be increased. At present the fine is UAH 170-3,400 (approx. USD 7-127) which is incomparable to the threat posed by counterfeit goods to the county’s economy and its citizens. Another way of fighting counterfeiting could be to reduce the threshold for criminal responsibility under Articles 176, 177, 229 of the Criminal Code of Ukraine which is currently UAH 17,620 (approx. USD 657). Copyright © Yuridicheskaya Practika Publishing, 2002–2017. All rights reserved.